Is a Customer-Focused Selling Approach Still Valid? In a recent meeting one of the sales managers asked, “Is it still really valid for salespeople to take a customer-focused selling approach anymore?” At first I was taken aback, wondering what he believed the alternative was, but I soon came to realize that he wasn’t implying that salespeople shouldn’t have the best interest of their clients in mind. 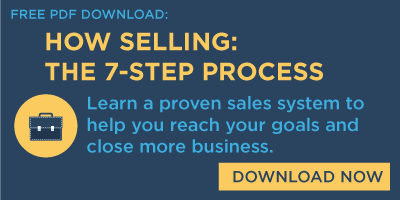 What he questioned was the process where you ask for the prospect's time to learn about his or her business so you can sell the right solutions. Prospects are no longer willing to give salespeople time to teach them about their business. And with what is now online, they shoudn’t have to. Asking for another business person’s time is asking for a lot. If a prospect is not willing to give a salesperson that time, it’s often because the salesperson has not established some value to giving that time away. The prospect does not trust that the salesperson won’t waste his or her time. 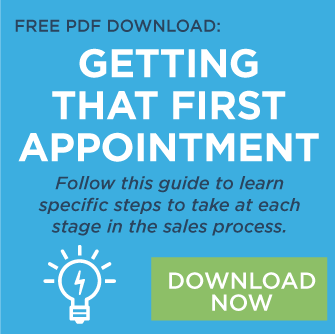 In order to win some of a prospect’s time, salespeople need to establish that they will use that time for a mutual benefit. As salespeople look to grow their key accounts the rest of this year, and into next year, they need to think about how their solutions help the clients grow their businesses. That’s customer-focused, and that will earn you the time you need in front of your clients and prospects.